Admit it. It kind of does. Earlier this week Ford unveiled its all-new 2020 Escape SUV crossover. It’s based on the same front-wheel-drive platform as the new, not coming to America, Focus hatchback. Some, however, have been a little critical of the Escape’s design. We know we’re not alone in thinking it bears a resemblance to its Mazda CX-5 rival. Ford obviously had no intention to copy the Mazda, but according to Automotive News Europe, the automaker instructed its design team to come up with less aggressive styling. "We did not want to go for the warrior, get-out-of-my-way look. The customer didn't want that,” said Amoko Leenarts, Ford of Europe’s head of design. The Escape is sold as the Kuga overseas and the two are identical. "The SUV is evolving into something that's much more honest, friendlier,” Leenarts added. 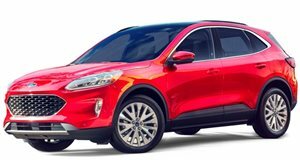 Ford wanted its compact SUV crossover to have a sleeker look more in line with the Focus that is "more agile” and "less aggressive.” The final design definitely reflects that and the result is a CX-5 lookalike from some angles. 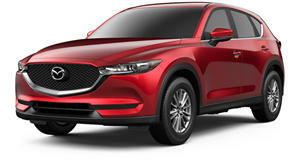 This isn’t necessarily a bad thing, but given that the CX-5 has rightly won praise for its own sleek and semi-exotic look, it’s kind of hard to see Ford breaking any new styling ground here. The previous generation Escape did so with its angled and wedge design theme. 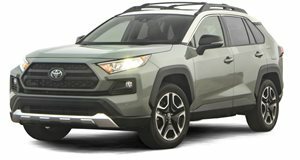 There was more SUV than crossover and it aged well over the course of its six-year production lifecycle. It’s also interesting to see Ford dialing back on the SUV look while Toyota did the exact opposite with its latest RAV4. Older RAV4 generations were never exactly design powerhouses, but this latest one has some much-needed attitude. The 2020 Escape’s styling, for better or worse, is the result of what the customer wants and in our capitalistic system, the customer is always right. Well, perhaps not always.